I love Disney. I also love food. And I really love Halloween. So my 2 days in Tokyo Disney and DisneySea, I made a pact with myself to eat and drink as much as I could. Firstly did you read my post about Halloween at Tokyo Disney? If not you should really give it a read. 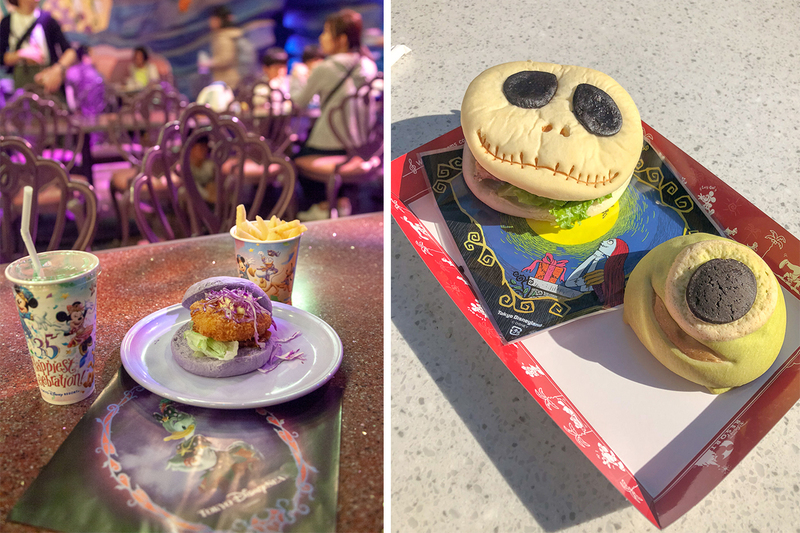 It’ll set you up for my Tokyo Disney Halloween food review perfectly. 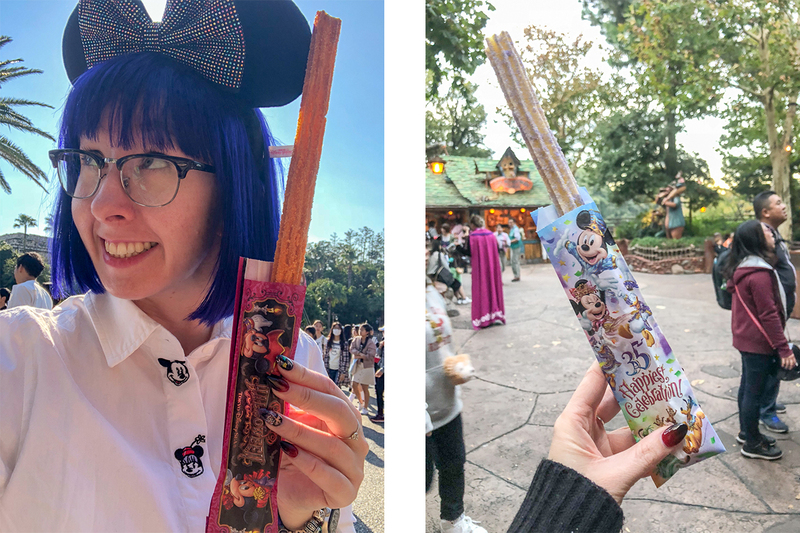 As in any Disney park you can pick up a map for all the rides, in Tokyo Disney and Disneysea you can also pick up a food map which is an A+ idea as it makes hunting down the halloween menu items much easier. 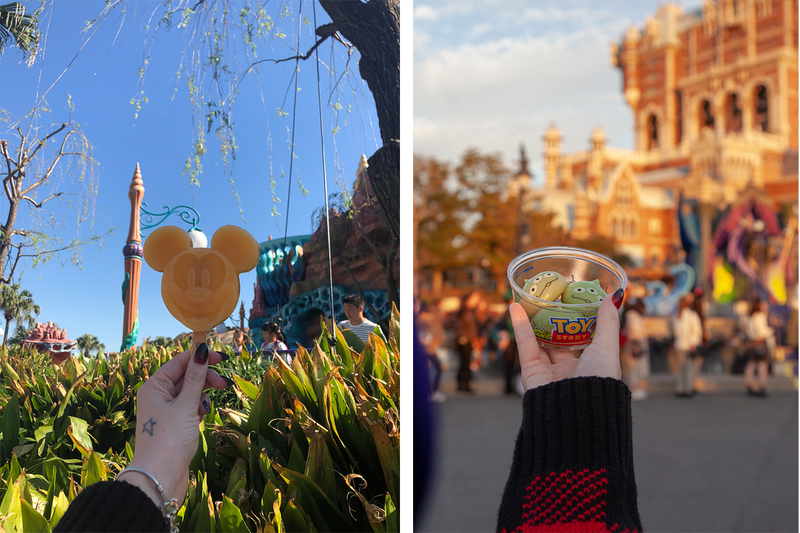 Halloween meant that Tokyo Disney and Disneysea had some excellent food choices. The Ursula Scallop burger was interesting, the bread bun was purple and kinda sweet. The burger was very filling and I do not know why but it surprised me it was fish. I know a scallop is fish but a if I got a fried scallop at home it would be a battered slice of potato? Anyone? Or just a Yorkshire thing? It came with a Daffy Duck napkin, which I obviously kept. The Jack skellington pastrami was kinda weird. The pastrami I don’t think worked very well with the sweet bread but it was super cute. I managed to eat most of it, walking 20k+ steps a day made me hungry. Mike’s Melon Bread. Bread that tastes like melon. Sure. Erm. Ok. It apparently has a cult following but meh wouldn’t go out of my way to order another one. Churros were next on my hit list. Mainly because I love churros and I have a massive sweet tooth. Now you can’t go wrong with a churro. That is my final answer. They were very sweet though and I did prefer the maple and pumpkin version over the cotton candy version. The artificial taste of cotton candy, made my want to brush my teeth but then again purple sugar coating isn’t exactly full of natural flavourings ha! 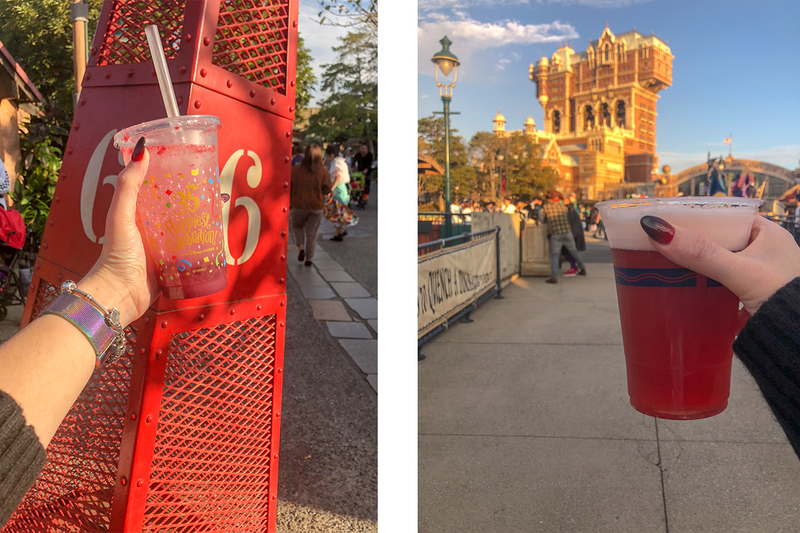 I was little sad that my sparking drink didn’t come in the cute Ghost cup, but it didn’t dampen my excitement and surprise at this drink. Firstly it was weird. It has a sour topping that isn’t white but red? And in the bottom was grape jelly. So it was more of a surprise drink and very filling. Beer at Disney ok I’m in. It was however not a cocktail. Think a pint of Budweiser with a hit pomegranate syrup. Still not bad for less than £5 in a Disney park. A 5pm pick me up while I ate my green alien mochi. The ice lolly Mickey Mouse bar was just like a good orange ice pop refreshing, nothing spectacular mind ya and think you can find these around most Disney Parks. The Green Alien Mochi, now I hunted these down and had to show a picture on my phone to a cast member so I could find them. They are sweet cute filled rice paste blobs of tastiness. They are filled with 3 flavours; chocolate, strawberry and cream. They are really adorable and you can only get them in the Tokyo parks so 100% hunt them out. 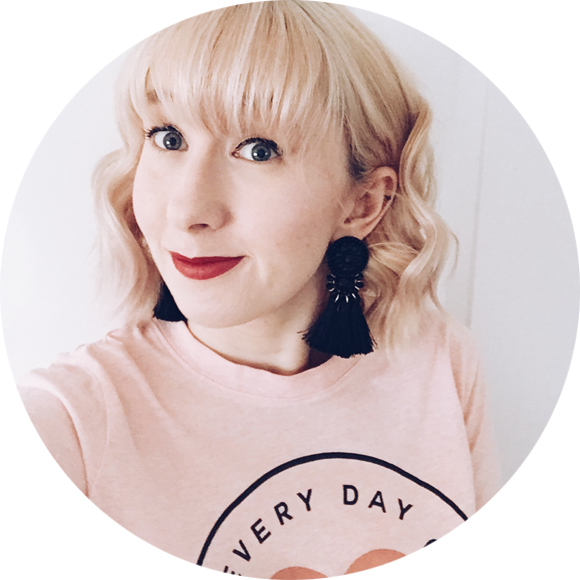 I'm also rather fond of gin, cats, bright lipstick and fairy lights.